The game is looking ultra cool in this first ever gameplay video. Fans of Japanese Role Playing Games recently got a new trailer that raised hype levels through the roof as Atlus finally showed a new trailer for their hugely anticipated upcoming game, Persona 5. The trailer was packed with content that pleased fans as it was shown during a marathon live stream, but unfortunately it wasn’t accompanied by a release date, but all good things in due time. The trailer also shows the games hero and another two protagonists, there’s also a pet Persona called Morgana. And in case you missed it, their a band of thieves. It was also announced during the livestream that the first copies of Persona 4: Dancing All Night will come bundled Blu-ray disc that will include special footage of Persona 5. A certain little secret that was also spotted. The secret seems to be that of a café which is strikingly reminiscent of the one found in Catherine, a platforming puzzle game that was published by Atlus. 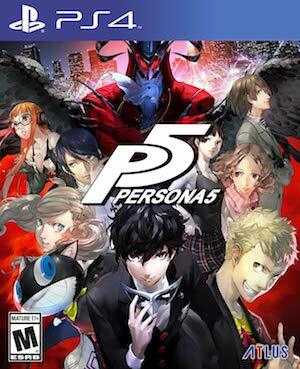 Persona 5 releases this year on the PlayStation 3 and PlayStation 4.